Raising more money in an extremely competitive environment means tapping every resource you have, beginning with your board members. Special thanks to the Blue Cross and Blue Shield of Louisiana Foundation for providing every LANO member with access to CausePlanet's Page to Practice summary library, author interviews and archives during 2012. So you want more for your nonprofit but do you know why? Special thanks to the Blue Cross and Blue Shield of Lousiana Foundation for underwriting access to CausePlanet's Page to Practice book summary library for all LANO members in 2012. Many of us recall David La Piana's Nonprofit Strategy Revolution, which pushed past our traditional notion of strategic planning and brought more time-sensitive, relevant thinking to the forefront. La Piana acknowledges that even while Revolution was being published, clients began to raise the common questions surrounding the economic and operational implications of strategic decisions. Specifically, how could they effectively connect their strategy with an execution plan that would truly grow the organization? Answering this question involved developing a rigorous methodology for connecting mission, strategy and execution. Don't miss our live interview with Nonprofit Business Plan coauthor, Heather Gowdy, at LANO's annual conference. Send us your questions now about nonprofit business models for Heather at mail@causeplanet.org and we'll answer them on Oct 3 in our session! Special thanks to the Blue Cross and Blue Shield of Louisiana Foundation for underwriting LANO members' all access pass to CausePlanet's library of Page to Practice book summaries in 2012. 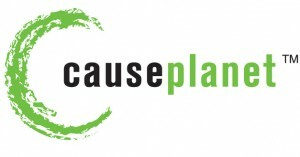 Visit us at www.causeplanet.org/lano. In our recent live interview with "Insider's Guide to Winning Foundation Grants,” author, Marty Teitel, we asked all of you on the webinar, "How many of you have received a grant?” A surprising 30 percent had never been a grantee. I would have confidently guessed 90 percent or more of you had earned the support of a foundation. Click here to read more at the Page to Practice blog, download this Page to Practice book summary for free or register for next live author interview. Special thanks to the Blue Cross and Blue Shield of Louisiana Foundation for underwriting a Page to Practice subscription for all LANO members in 2012. Rarely do I come across a book where the author, who's been on the inside of a foundation, is sharing the grant maker's perspective like Martin Teitel does. His sense of humor and quick wit make The Ultimate Insider's Guide to Winning Foundation Grants a fast and informative read. 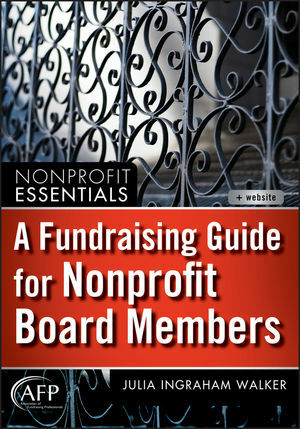 New and seasoned nonprofit leaders alike will find the author's insights immensely practical. Read more of this post, download the free Page to Practice book summary and register for the author interview at this link. Special thanks to the Blue Cross and Blue Shield of Louisiana Foundation for generously underwriting a CausePlanet subscription for all LANO members in 2012. Click here to learn more. 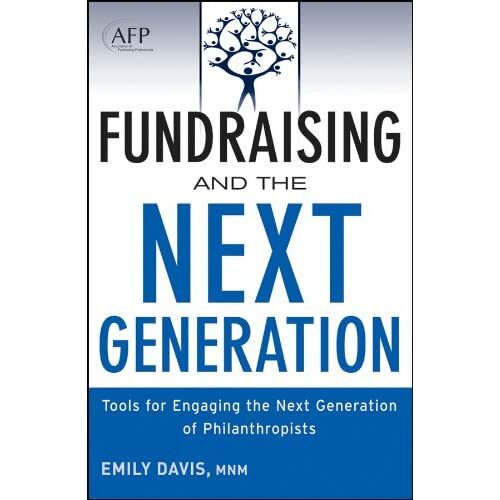 In light of our recent Page to Practice™ feature of Emily Davis' "Fundraising and the Next Generation,” I thought you'd enjoy her recent blog about the twelve steps involved with starting a fundraising committee. Frequently, I'm asked about steps nonprofits can take in starting a nonprofit fundraising committee. Below are some ways that you can start out in organizing a team of volunteer fund raisers for your organizational mission. 1. Have a committee description. How can volunteers know what you need them to do without instruction? Start with a committee description that includes as much detail as possible like committee activities, meeting times and length, preferred skills and qualifications, and any other logistics you would want to know if you were joining the committee. Read more, download a FREE summary of Emily Davis' book or register for our next live author interview with former foundation CEO, Martin Teitel. Special thanks to the Blue Cross and Blue Shield Foundation of Louisiana for providing LANO members access to CausePlanet's book summary library and live author interviews. Rather than take a blind leap of faith based on intuition or anecdotal information, author Mario Marino asks us to take a leap of reason when managing to outcomes. Why? Because our causes deserve it and social markets increasingly will fund only the nonprofits that demonstrate results. LANO Members: Read more and download a free Page to Practice summary of "Leap of Reason" thanks to Blue Cross and Blue Shield of Louisiana Foundation. Free Page to Practice book summary of "Rippling"
Though your tax status may read "not-for-profit,” you're running a business where the community must profit in social ways. The product you're selling is change. But how much social change are you really creating? Our rapidly changing world has experienced progress economically, politically and socially. However, author Beverly Schwartz argues while progress mitigates some problems, it exacerbates others. Our planet requires more sophisticated solutions that are produced by effective organizations in the social sector. LANO MEMBERS: Click here to read on, download a free Page to Practice book summary of Schwartz's book and register for the live author interview! Special thanks to the Blue Cross and Blue Shield of Louisiana Foundation for underwriting the Page to Practice service for LANO members. Read more and register for our next author interview with Beverly Schwartz about "Rippling: How Social Entrepreneurs Spread Innovation Throughout the World"
LANO Members: You can download this Page to Practice book summary for free in 2012 thanks to the Blue Cross and Blue Shield of Louisiana Foundation. Click here to read more, register for the interview with Davis and download the Page to Practice book summary.